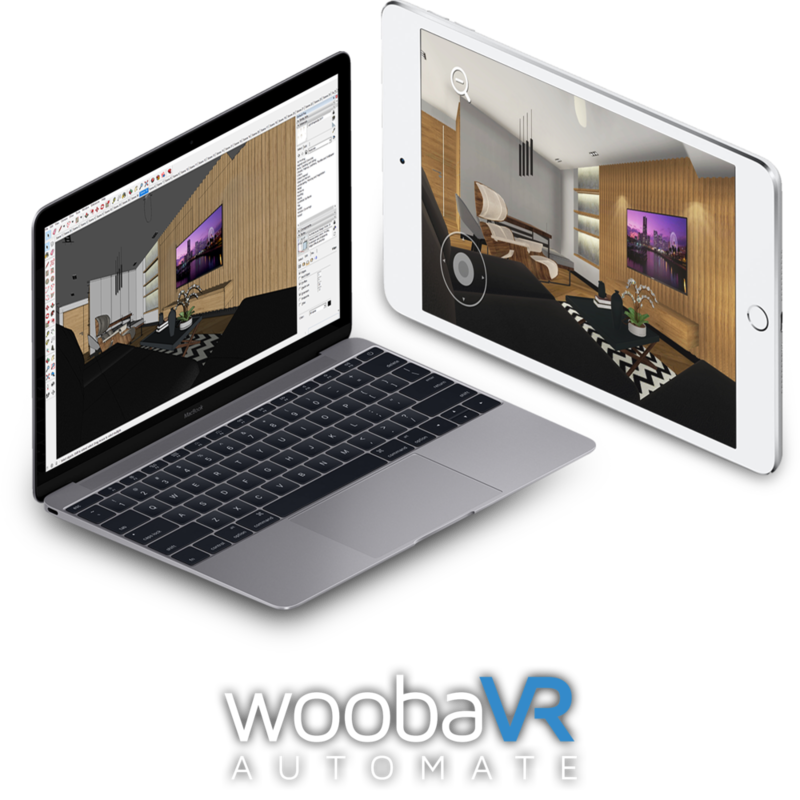 woobaVR Automate puts the power of visualisation back in the hands of the designers. Simply upload your files on to our web platform and watch as your designs come to life in VR. 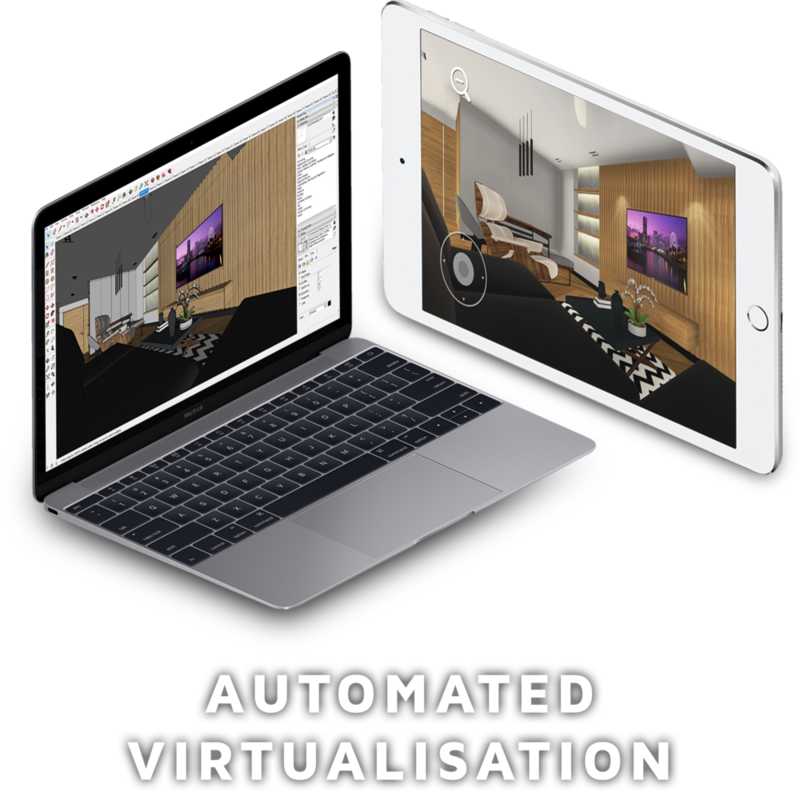 Our fully automated platform generates VR output lightweight enough to be viewed and shared on any mobile device. Accurately design representations straight into the hands of your client. 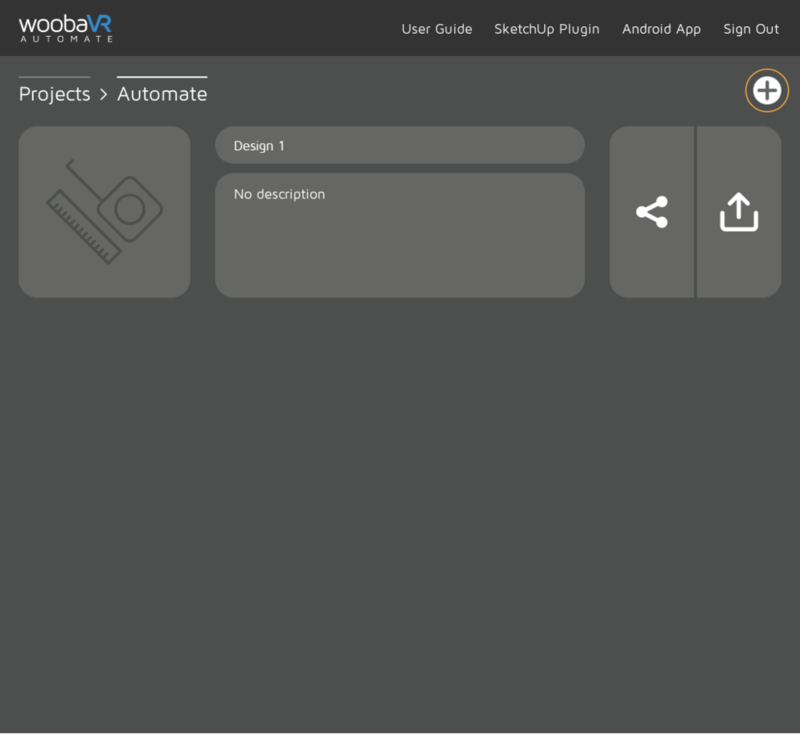 Log in to the website, platform.woobavr.com with the provided credentials. 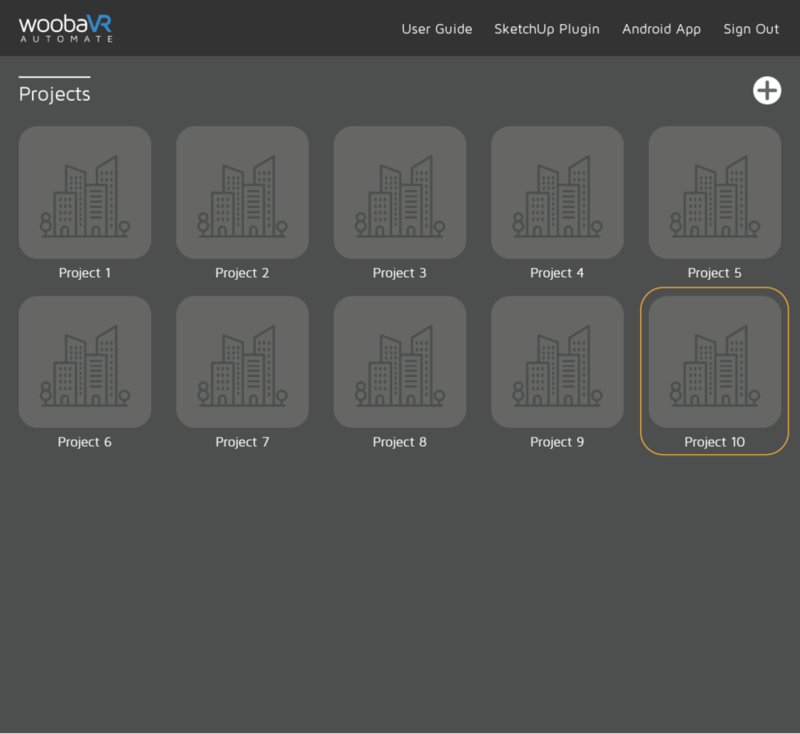 in the Project Page, click the '+' button to create new project folder. 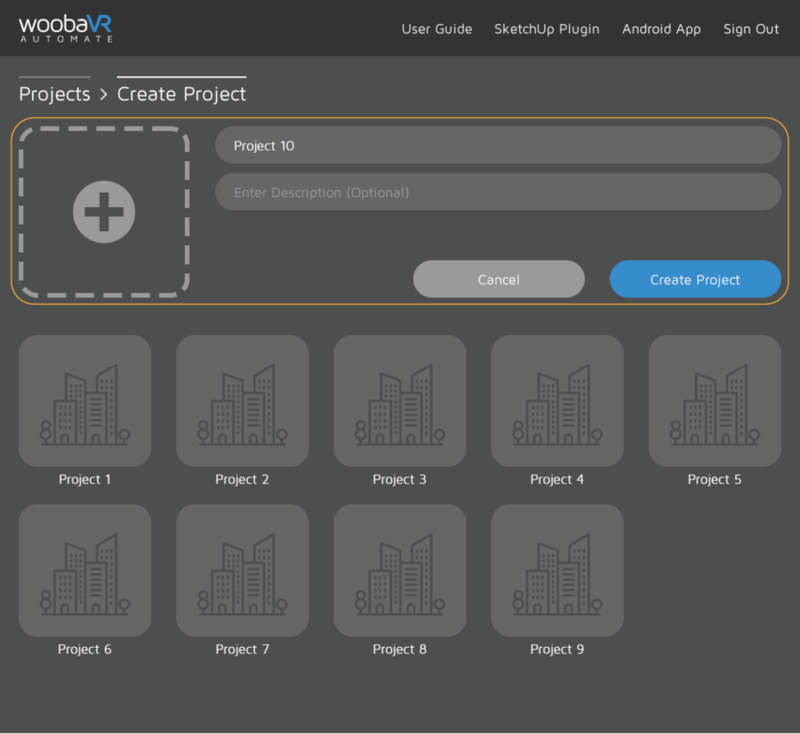 Complete the form to create your new Project Folder. After you've filled up the form, click 'Create Folder' button. 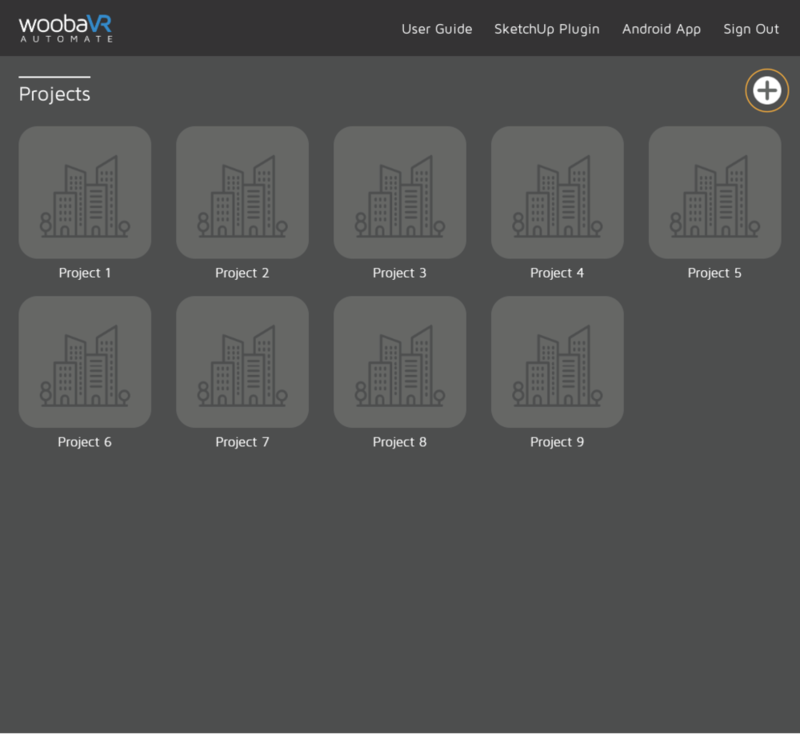 In the Project Page, select the new project folder to access design file. 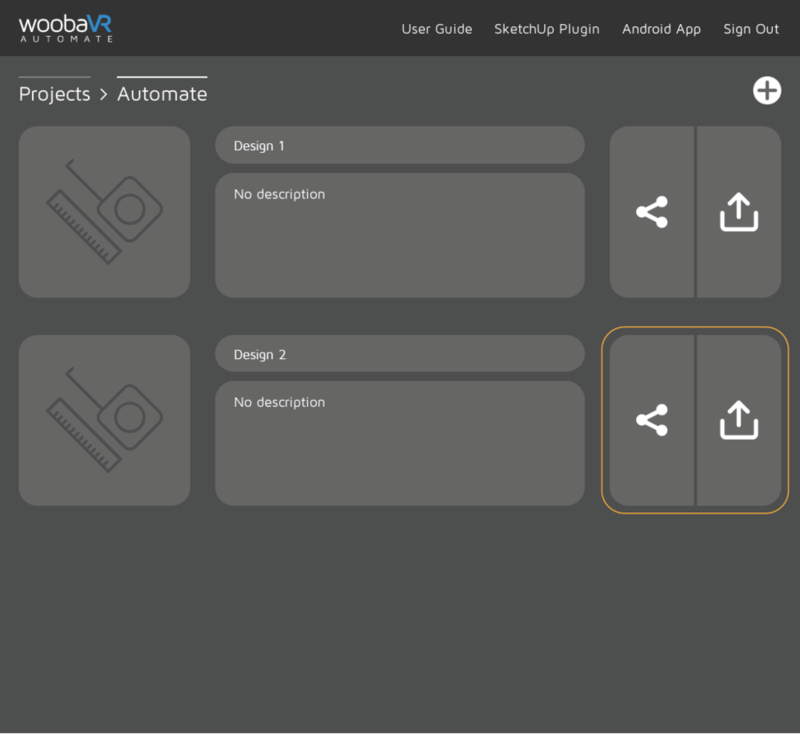 In the Project Folder, click the '+' button to create new design file. Complete the form to create your new Design File. After you've filled up the form, click 'Create Design' button. 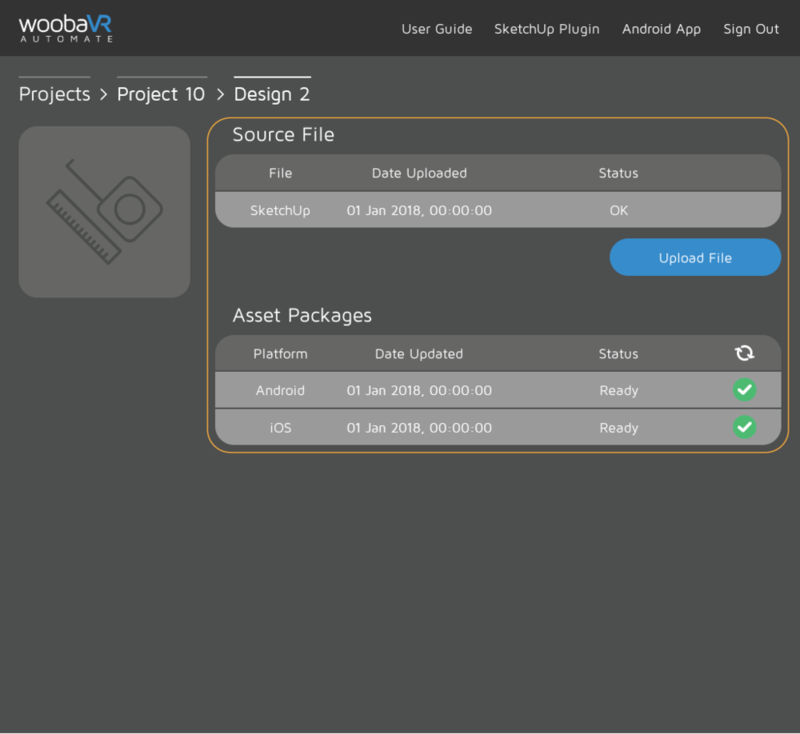 In the Project Folder, select the 'Upload' icon of the new design file to upload your 3D file. Select the 'Share' icon to copy a shareable link of the VR Scene. In the Design File, under the Source File click 'Upload File' to upload your 3D file to our server, in queue for rendering.